Never before have timezones played such an important role in ESL teaching! 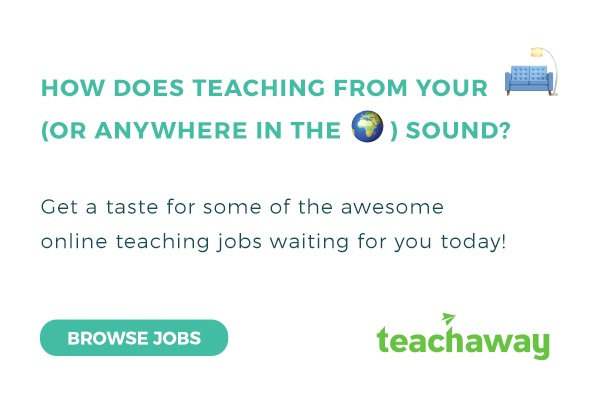 Now that more and more online English teaching jobs are cropping up online, there’s a whole range of new considerations for teachers. Like - when do I want to teach? And what the heck is a peak hour? And why is everything written in Beijing time? We can’t answer all of those questions - we’re not mind readers, and everyone’s life is different. You might want to teach mornings, evenings or nights. Who knows? Certainly not us 🤷. What we do know is that a peak hour is the times when a company sees that most students are logging on and clocking online English tutoring hours i.e. when the demand for English teachers is at its highest. These hours tend to be similar across a region and as many online ESL students are based in China - the words Beijing time, are a headache you need to pay attention to. We recommend bookmarking this handy little guide as we’ve taken the time to translate those mysterious Beijing peak hours into time zones that will be more familiar for Canadian, American, European, South African, New Zealander and Australian teachers. We’ve also looked at peak hours in other regions with a high demand for English teachers and done the same. So we’ve got peak hour timezone translators for student demand in Japan, Europe and South America too. The peak hours for many companies in China are pretty much the same. That’s because it’s mostly after schools hours. So whether you’re looking at companies like iTutor, VipKid, Dada, Magic Ears, or any of the other bajillion companies working on Beijing time, this table should help you figure out when the peak work hours are based on your own timezone. Companies like Gaba, Native Camp, and Best Teacher, all cater to Japanese students. Whether you fancy teaching adults or children, the demand for online ESL tutors in Japan is outside of their traditional working/school hours. This means early mornings, late evenings and weekends are when most Japanese English students will log on to boost their English learning. It’s a bit of a theme with online tutoring companies but they tend to have their peak hours on the weekends or weekdays outside of working hours. That means that if you’re planning to teach European students ESL online, you might want to log on on weekday evenings or anytime over the weekend. Some of the companies that cater to European students are Fluentify, Learnship and Tandem. Although the market isn’t as saturated as say, China, there is a growing demand for online English teachers in Latin America. LatinHire, Preply and Cambly all cater to this market, but not always exclusively. The best thing you can do is log on during peak hours for that region if you’re set on teaching South American students. Want to teach some of the hardest working students on the planet? Look no further than South Korea. This country places a huge emphasis on Native English teachers and has expanded its programs to include online English teachers that can cater to students in rural areas and beyond! South Koreans study hard, so you can expect some diligent students if you go with one of these online ESL teaching companies: NIL English, English Hunt and English Aloud.